Dr. Gregory D. Wilson, DC, ICCSP grew up in Acme, PA. He graduated from Mt. Pleasant Area High School in 1995 and furthered his career at Westmoreland County Community College and Excelsior College in New York where he received his Bachelor's Degree in Biology and Chemistry. He then earned his Doctorate of Chiropractic at the prestigious Palmer College of Chiropractic in Davenport, IA. To become a Chiropractor one must complete over 4400 classroom hours, pass four rigorous National Board exams prior to earning your licensure in the state of Pennsylvania. Dr. Wilson also attends continuing education seminars throughout the year to maintain his advancement in the field of Chiropractic. In 2015 Dr. Wilson became certified in treatment of sports injuries, and recoginized as an International Certified Chiropractic Sports Practioner (ICCSP). 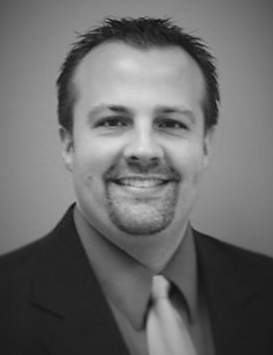 He plans to specialize in pediatric sports chiropractic care. It was as a young child that Dr. Wilson learned about Chiropractic and how it helped his migraine headaches. "I was seven years old when I started to get migraine headaches. I would get these a couple times a week. My mother then took me to a Chiropractor and it helped. She remembered me going in and coming out a different kid. I know in my heart that Chiropractic saved my childhood, and knew then that I would help people with Chiropractic care." After graduating from Palmer College, I wanted to get experience in Physiotherapy, so I worked for a Chiropractor for one year as the Rehabilitation Director. In June, 2002 I dedicated Wilson Chiropractic Health Center to the Lord and started helping people with my own private practice. "The past twelve years have been such a blessing to me. Helping people is my purpose in life, and with God's help I will continue to do it." Dr. Wilson is happily married to his wife Debbie, and has two beautiful children, Brandon and Morgan.